The Story of Joe is published alongside Jacinta Halloran's short story in the November 2016 issue. A reading from my short story White Horses. I have been awarded two Varuna Fellowships and was shortlisted for the Publisher Introduction Program in 2016 for my debut novel. 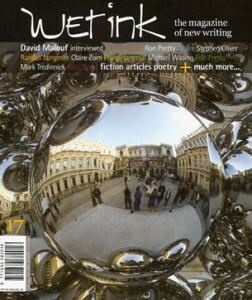 In the First Place was shortlisted for the Wet Ink/CAL Short Story Prize and published in this issue of Wet Ink. my story Outlanding opened this annual short fiction anthology. The Other Woman was shortlisted for the Fish Publishing PRIZE and Bristol Short Story Prizes before publication. Flight won the 2010 My Brother Jack Literary Festival Short Story Award and was published in Etchings. Flight was published in this anthology of prize-winning writing.